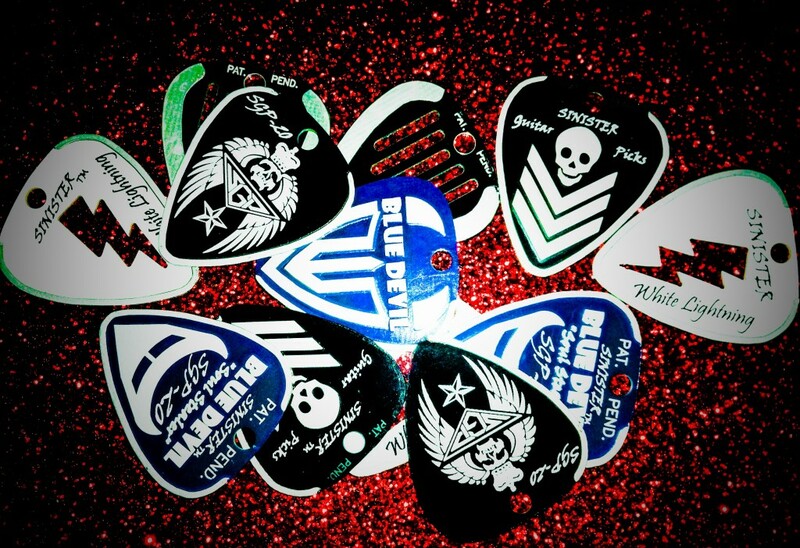 We are very excited to be added to the Sinister Guitar Picks family! Have you ever played with one of their picks? It’s the only pick with a metal edge! You can hear the difference when you play as well as feel the difference. And they look badass, too! There are several functional designs to choose from. Each has something different to offer from type of edge, 1 or 2 edges, cut outs for grip, and gauges for sound and comfort. They rock! Click on the cool logo to check out their page. They have cool swag for those who don’t play guitar but still rock!